County-to-County volunteers are proud to work with these candidates! Terence is a father, husband, and small business owner. He has his own law practice in Wake Forest where he works on behalf of other small businesses, representing them in legal matters and assisting in the creation and development of new businesses. Terence is committed to local growth and serves as a Member of the Board of Directors for the Wake Forest Area Chamber of Commerce. 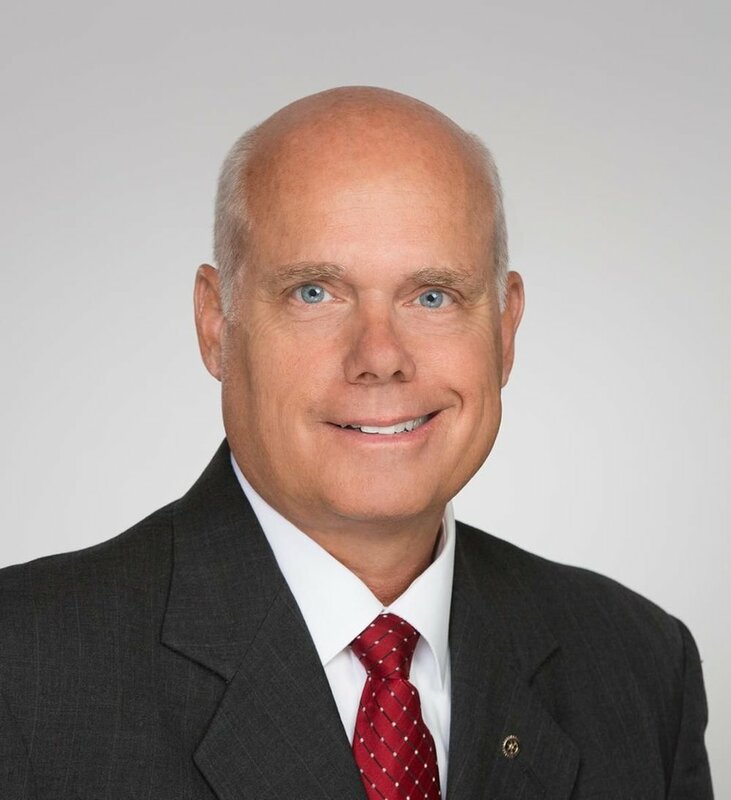 He is a graduate of Leadership Wake Forest and served as a member of the Wake County Transit Advisory Committee, which provided the community recommendations and guidance in the development of the Wake County transit plan. Education: North Carolina has always been known as a state that values public education. North Carolina now ranks 43rd in the nation in per pupil spending, more than $3000 below the national average. Small Businesses: Small businesses are the engine of the North Carolina economy, creating about two-thirds of the new jobs in our state. We should give truly small business owners and startups – not just large, out-of state corporations - a tax break. Health Care: NC Republicans have hurt working class by rejecting Medicaid expansion. By expanding Medicaid, we will bring billions of dollars back to North Carolina. NC District 35 Facts: Incumbent Chris Malone (R), Terence Everitt (D), and Michael Nelson (Libertarian) are running in the North Carolina House of Representatives District 35 general election. Visit his website at www.terenceeveritt.com to learn more about his background and platform. Darryl Moss has devoted the last 30 years to his community, including 18 years as the Mayor of Creedmoor. He served on the NC Environmental Management Commission and was a hearing officer for statewide public hearings on animal feeding operations. Mayor Moss was effective: he secured more than $13 million in grants to upgrade Creedmoor’s water and sewer treatment systems, purchase a 142-acre park and expand the city’s sidewalk infrastructure. Education: Put our kids, our teachers and our schools first over corporate tax breaks. The best jobs plan in North Carolina is a first class education system. Health Care: Expand Medicaid, reduce medical insurance costs, and establish a statewide health insurance exchange. Environment: The other issues we face will be inconsequential if we do not protect our water, air and land. We must stop big polluters and upgrade water and wastewater infrastructures. Many residents work in neighboring Durham and Wake counties, and in the state psychiatric hospital and the federal prison complex. Demographically, the district is about 60% Caucasian, 38% African American, with a small but growing Hispanic population. About 40% of residents are ages 50 and older, 40% between 30 and 50, and 20% below age 30. Points of interest: In Creedmoor, Finch’s and Owl House Cafe. In Oxford, George’s, Uptown 101, Harvest and Tobacco Road Brewery. Visit www.darrylmossfornc.com to learn more about Darryl’s community involvement. Erica McAdoo is a North Carolina native who has made Alamance County her home. She lives on a small farm with her husband, young daughters, her father and 3 goats, 30 chickens, 3 dogs and 3 cats. As manager of a Hillsborough law firm, she is responsible for the firm’s budget, strategic planning, human resources and technology. She has owned her own business and understands the needs of small and family-owned businesses. Erica has been an adjunct professor at Meredith and Guilford Colleges. She is a member of her local NAACP and a volunteer with Burlington Animal Service. Education: District 63 teachers and principals have told Erica they struggle with North Carolina’s low teacher pay, lack of support and lack of funding. Erica wants to remedy these problems. Our Economy: For Alamance County, Erica thinks that quality, affordable education and job skills training are essential. Health Care: Erica will fight for affordable health care for EVERY citizen of North Carolina. A Livable Wage: Erica believes that $7.25/hour is NOT a livable wage, and she will work to increase the minimum wage. Visit her website www.ericafornchouse.com to learn more about her community involvement and platform. Lisa Mathis grew up in a military family that was stationed all over the US and the world. She comes from a working class background and always had jobs as a teenager and college student. She and her husband Brian have made Sanford their home for 21 years and have raised their children there. Lisa owned her own graphic design business and in 2003 opened ArtStudio in downtown Sanford as a place for children and adults to explore their creativity. Ensuring Quality Education: Lisa will put our children first by providing adequate resources, increased pay for teachers and access to affordable higher education. Supporting Working Families: Lisa will fight for better wages, access to education and training, family and medical leave and affordable childcare. Providing Affordable Health Care: Lisa supports Medicaid expansion and improving treatment and resources for those struggling with opioid addiction. Protecting Water and Natural Resources: Lisa will fight to prevent District 51 from becoming a dumping ground for coal ash. She opposes efforts to reduce regulations on harmful chemicals such as Gen X and efforts to lift restrictions on fracking. NC District 26 Facts: District 26 in Johnston County has a population of 83,000+ people and is the site of three international pharmaceutical companies. Many residents commute to work in Raleigh. Local points of interest: Linda would like people to visit Smithfield and try the Roost and in Clayton visit Mannings. Visit her website www.bennettfornchouse.com to learn more about her background and platform. Health Care: Expanding Medicaid to provide access to affordable health care; more financial support for mental health services. Local points of interest: Kirk encourages C2C canvassers to spend some time downtown, on Hay and Person Streets. There are restaurants, cafes, microbreweries, interesting niche stores, and many weekend festivals. Learn more about Kirk at kirkdeViere.com. Education: Rockingham County is losing teachers to urban school systems. Mike wants lottery funds in North Carolina to be used only for education and he wants local school districts to have a say in the use of the funds, so Rockingham and Caswell Counties can invest in higher teacher pay. Public Safety: Volunteer fire fighters are the backbone of fire safety in North Carolina. Mike would explore ways to give volunteer fire fighters a state income tax deduction to reward them for putting their lives on the line for the safety of their neighbors. NC District 65 Facts: There are three candidates running for NC District 65: Mike Lee (D), Jerry Carter (R) and Houston Barrow (Libertarian). Bart Jones the incumbent is not running for re-election. District 65 has 80,000+ residents and parts of of Caswell and Rockingham Counties. Local points of interest: Mike would like people to visit Roxboro and try Brookland Eats and the Timberland Restaurant. Visit his website www.mikeleenchousedistrict65.com to learn more about his background and platform. Senator Valerie Foushee represents District 23 in Orange and Chatham Counties. She is a life-long resident of Orange County and graduate of the University of North Carolina at Chapel Hill, where she received Bachelor of Arts degrees in Political Science and African and Afro-American Studies. Valerie retired from the Chapel Hill Police Department after 21 years of service. There she supervised two units and administered an $11 million budget. She was elected to the Board of Education for the Chapel Hill– Carrboro City Schools in 1997, and served as Chair from 2001-2003. In November of 2004, she became the first African-American female elected to the Orange County Board of Commissioners and served as Chair from 2008 - 2010. 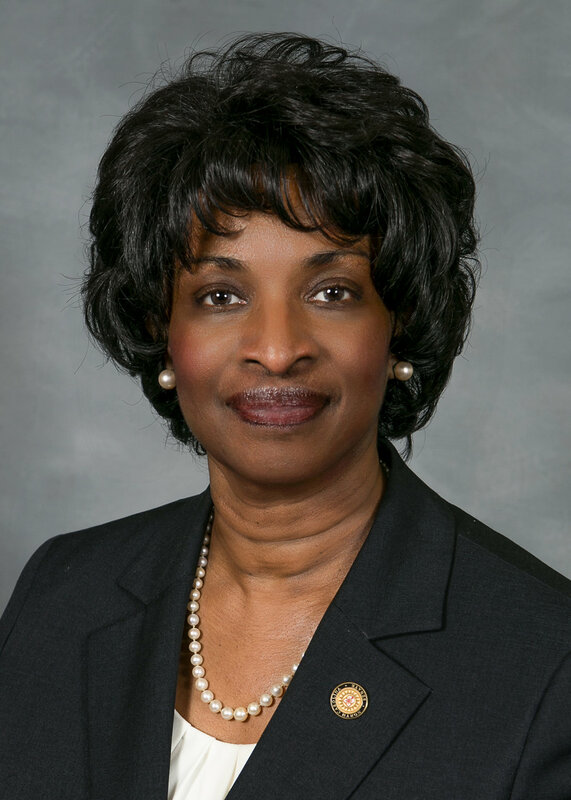 In 2012, Valerie was elected to the NC General Assembly to represent District 50 – Orange and Durham Counties. She was appointed to the Senate in 2013 to represent Orange and Chatham Counties following the resignation of Senator Ellie Kinnaird. She was elected to the Senate in 2014 and re-elected in 2016. Since she has been in the Senate she has worked for bipartisan reform of education funding policy to ensure transparency and appropriate funding for all school districts. Verla Insko is running for her 12th term in the North Carolina General Assembly to represent the 56th NC House District in Orange County. She is the House Democratic Whip and Campaign Finance Chair. Her current committee assignments include Appropriations, Education, Health, Insurance, the Joint Legislative Oversight Committee on Medicaid and Health Choice and the Committee on Intellectual and Developmental Disabilities. Under House Democratic control, she served as Chair of the House Health and Human Services Appropriations Committee and the Joint Mental Health Oversight Committee. She was the primary sponsor of bills that created the state’s high-risk health insurance program, the Farmland Preservation Trust Fund and the requirement for pistol permit clearance through the National Instant Criminal Background Check System. She has received numerous awards for her work including the Green Tie Award from Environment NC and the James Bernstein Excellence in Public Service to Children Award from the NC Pediatric Society. Insko received a BA in Biology from Fresno State College in Fresno, CA and an MPA from the UNC – Chapel Hill. She is a retired health program administrator from the UNC School of Medicine. Representative Graig Meyer has served in the North Carolina House of Representatives since 2013 when he was appointed to replace Valerie Foushee, who went to the state senate. He represents House District 50, serving constituents in portions of Orange and Durham Counties and currently serves as Candidate Recruitment Chair for the House Democratic Caucus. Graig has worked across party lines as the founding Co-Chair of two bipartisan, bicameral legislative caucuses, the Early Childhood Caucus and the Life Sciences Caucus. During the 2015-16 legislative session, Graig was the Co-Chair of the House Democratic Freshman Caucus. He successfully passed legislation to help families save money to care for their children with disabilities through adulthood; to help parents protect their children from online predators; to make it easier for families to set up guardianships for aging adults; and to help individuals and families by reducing the cost of home mortgage processing. Prior to becoming a legislator, Rep. Meyer spent sixteen years working in North Carolina’s public schools. Graig has extensive experience with policy and staff development initiatives designed to end institutionalized racism and promote educational equity and excellence. He continues to work with schools and youth-serving non-profits as the co-founder and principal consultant with The Equity Collaborative, LLC.